Here you'll learn all about my Gloster Fancy Canaries: my stud , shows and travels! 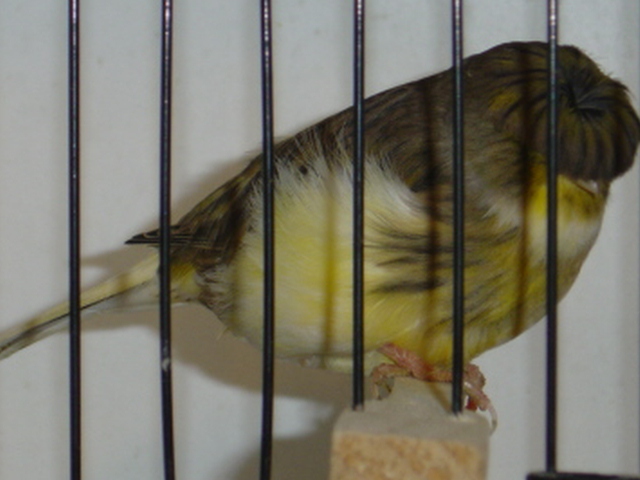 The first photo is of a variegated buff corona hen which I bred in 2006. It was well placed at the shows, e.g. 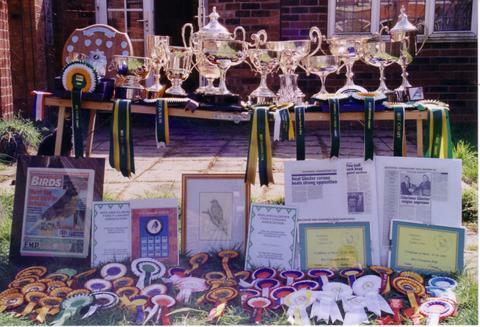 2nd in a class of 39 at the East Anglian All Gloster Show which had a record entry of in excess of 600 Glosters in 2006. It has reasonable shape and good feather quality and is yellow bred.